Vancouver’s West Side is home to some of Canada’s wealthiest people, living in homes that are priced into the millions of dollars. Vancouver, itself, has become a global destination with visitors bringing their money for activities that include shopping. 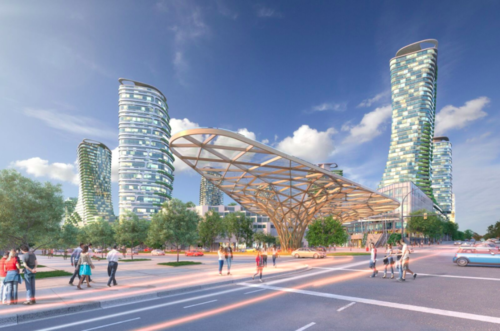 Oakridge Centre is about to see changes unlike anything seen in Canada to date, creating a dynamic mixed-use community that will also become Vancouver’s second municipal town centre (envisioned as a “City of the Future”). 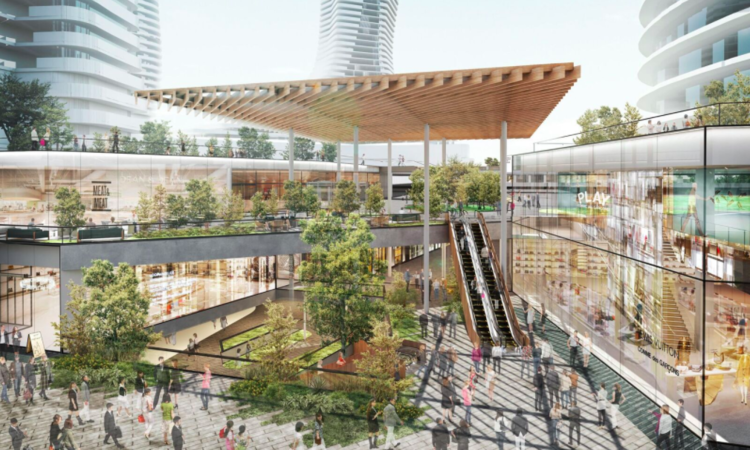 The existing 574,000-square-foot shopping centre, which sits on 28-acres of land in the heart of Vancouver’s affluent West Side, will be transformed into a major 4.5 million square-foot hub of retail, residential, workspace, parks and civic space. 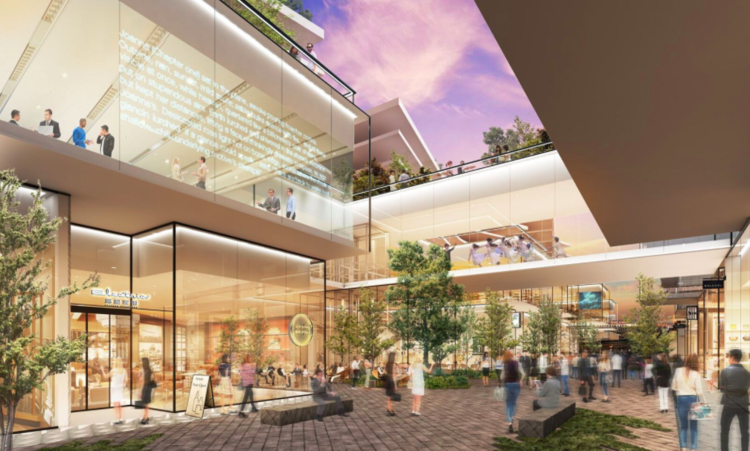 QuadReal partnered with Westbank Corp. and together have engaged Henriquez Partners Architects, Tokyo-based interior design firm Wonderwall, and other design partners for this initiative that will be a model for future high-density retail mixed-use redevelopments globally. 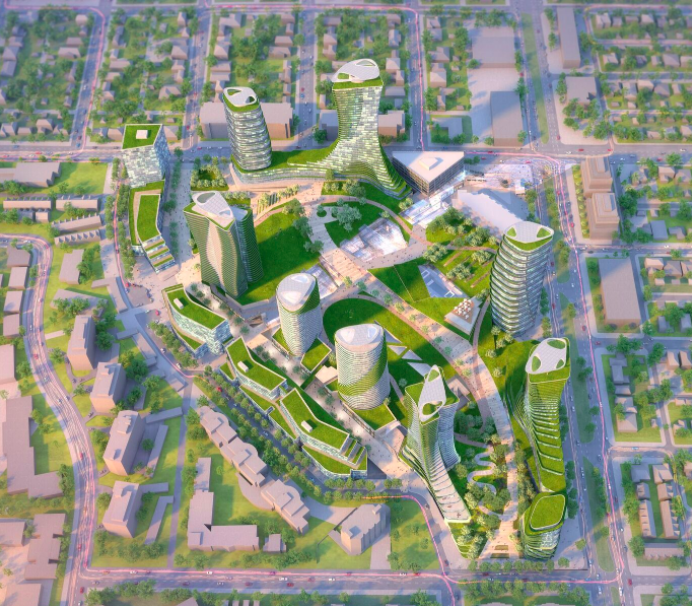 Included will be a massive community centre, public library, performance facility, dance academy, daycare, 100,000-square-feet of curated culinary experiences and an approximately nine-acre park — as well as office space and residential towers that will house about 6,000 people in more than 2,600 homes. 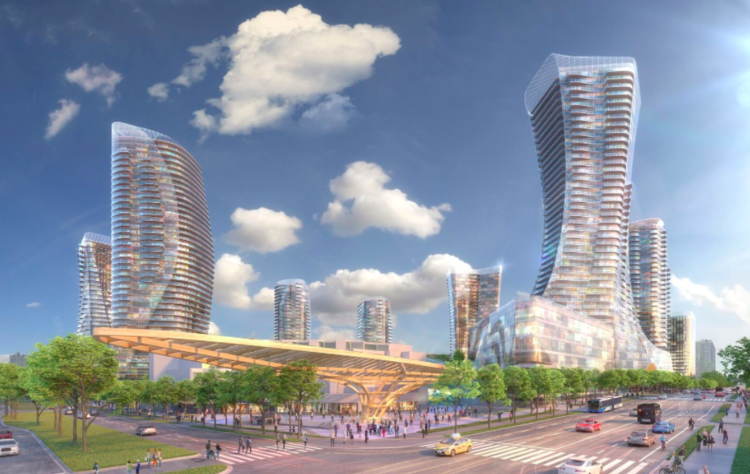 Oakridge will anchor an up-zoned neighbourhood that is projected to grow by more than 50,000 people within a kilometre radius over the next two decades. Craig Patterson of Retail-Insider.com spoke with QuadReal Executive Vice President, Retail Andy Clydesdale to get an in-depth picture of how the retail at Oakridge will unfold. “Our partnership with Ian Gillespie and Westbank has been refreshing and energizing as his creativity and global perspective is challenging us to look past the ‘traditional, old ways of retail development’ and be forward thinking in our design and tenant mix,” says Clydesdale. Clydesdale provided insight into what’s planned for Oakridge’s retail component, which will integrate into the entire community and will serve locals as well as visitors — about 26 million shoppers are expected to visit the expanded centre annually, making it one of Canada’s busiest in terms of footfall. 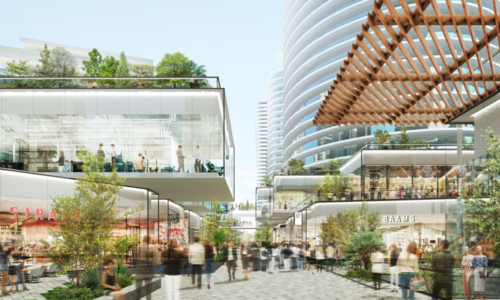 Oakridge’s retail component will see an overhaul that will be almost unrecognizable, with the existing retail space set to almost double in size to about 1-million square feet, including indoor retail as well as an outdoor pedestrian street. The mall’s “luxe run” could house more than 20 international luxury retailers, according to Clydesdale, including some that currently lack a presence in the market or in Canada, for that matter. 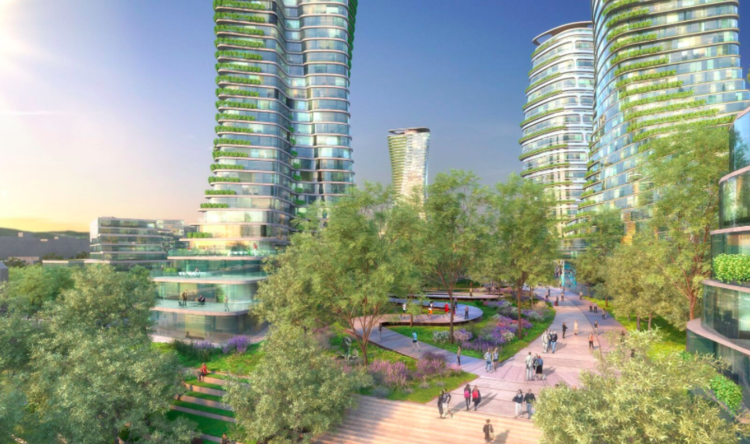 Given the real estate constrictions of downtown Vancouver, Oakridge could end up housing tenants that would ultimately become a second ‘luxury zone’ for Vancouver. The pedestrian-only high street will be part of the mall’s outdoor component that will run north-south along the length of the mall’s western perimeter. A new perimeter road will also run along the western edge of the property. The centre will feature two larger anchors, as well as some smaller anchors that will be part of the retail mix. Hudson’s Bay will continue to be Oakridge’s largest anchor tenant in a brand new 140,000-square-foot store and Sobeys. QuadReal is working with key existing retailers such as Harry Rosen, Apple and Tiffany & Co. to create flagship stores that will be aligned with its future thinking for experiential retail. 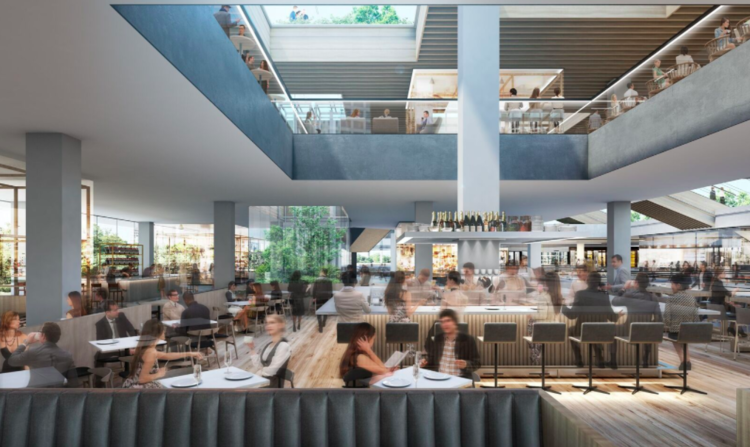 “The heart of the new Oakridge will be a carefully curated collection of top retailers from around the globe, including unique luxury brands and services, flagship stores and some first-to-market retailers, seamlessly integrated with a world class culinary experience and outdoor spaces,” says Clydesdale. Oakridge’s retail component is planning for the future, with provision made for e-commerce fulfillment. There will be ‘five-star concierges’ for shoppers with capabilities of being able to deliver packages to one’s car or residence, for example. About 6,000 parking spaces are planned for the centre, the majority of them with electric vehicle charging stations. Valet parking will be an important part of the mix, according to Clydesdale. Underground bicycle silos will allow riders to quickly stow their bikes below ground in a secure 11-metre deep well. With a simple swipe of a pass, bikes are retrieved or stored in 13 seconds. QuadReal is planning for a future where transportation will be different — self-driving cars are expected to proliferate in the coming years, and other transportation methods such as public transit will continue to gain prominence. The City of Vancouver is investing heavily in public transit in the area — the Canada Line rapid transit line runs past Oakridge and connects it to downtown Vancouver as well as the airport, and there are plans for enhanced transit along W. 41 Avenue, running east-west via a B-Line rapid bus service that would connect Joyce-Collingwood Station to the east with the University of British Columbia to the West. QuadReal will work with existing retail tenants at Oakridge as the overhaul progresses, and renovations to the retail component will occur in phases so that the centre may remain open. As far as timing is concerned, the new Hudson’s Bay department store and “Trend Experience” components are expected to be completed in 2022, with other development ongoing until roughly 2025 or 2026. (This article is a revision of the original by Craig Patterson, published in Retail-Insider.com. All renderings by Wonderwall).